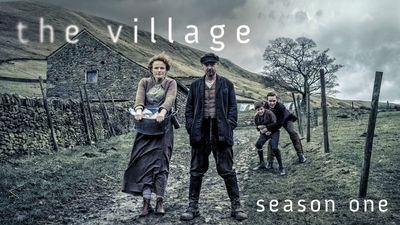 Here's where to watch every episode of The Village season 1. Mouseover or tap an episode to see where to stream it. Click or tap the play icon to stream it on the best available service. 1 Mar 31, 2013 Bert is the second oldest man in Britain, and a film is being made about his life and his village. He takes us back to the summer of 1914, when he was 12 years old. 2 Apr 7, 2013 It is January 1915; the Middleton farm has fallen on very hard times, and John is drinking heavily. A strange incident then takes place at the manor house. 3 Apr 14, 2013 Conscription is introduced for the first time in British history. Call up papers are delivered throughout the village, and soldiers requisition Big Molly. 4 Apr 21, 2013 Bert decides that winning the Rondo, an annual wheel barrow race on the cricket field, is a matter of life or death: if he wins, then Joe will be kept safe. 5 Apr 28, 2013 Joe's brief leave is over. He has tried hard to conceal his shell shock but Grace knows that something is wrong. Bert's actions have disastrous consequences for the family. 6 May 5, 2013 The war is over, and the village tries to come to terms with its loss. The debate over how best to honour their dead divides the community.